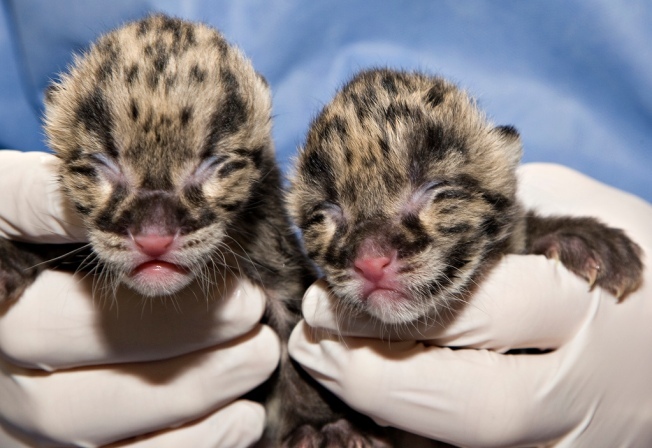 A new set of clouded leopard cubs were born on Valentine's Day. Hey! You there. Stop mourning over Tai Shan's departure already. Yeah, we loved our little Butterstick dearly, but he's moved on to bigger and brighter things. Time to obsess over something new! 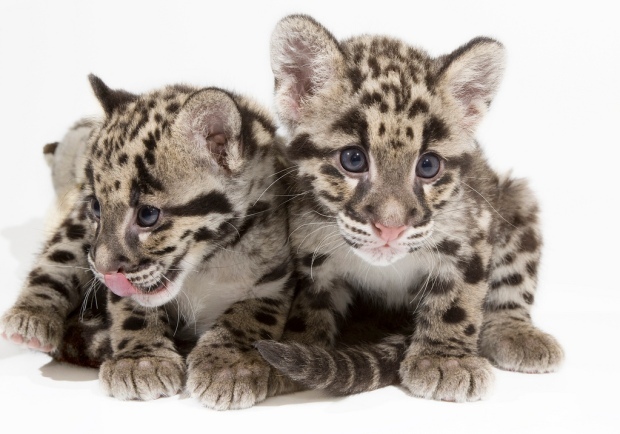 Two clouded leopard cubs made their arrival on Valentine's Day at the National Zoo's Front Royal Campus. They were born weighing about half a pound each. Staff had been on a pregnancy watch for four days before the birth, the Zoo said in a press release. Parents Jao Chu and Hannibal, who are both three and a half years ago, had two male cubs in March 2009 and a female in July. Jao Chu and Hannibal, born in a collaborative breeding and research program in Thailand, are considered to be genetically valuable as they're only one or two generations removed from the wild. The survival of their species faces challenges such as deforestation, hunting, decreased mating and high cub mortality. The National Zoo's been working with clouded leopards since 1978, and is currently raising money to upgrade their habitat at the Front Royal campus. You can obsess over -- uh, we mean, watch -- the cubs on the Zoo's webcam.